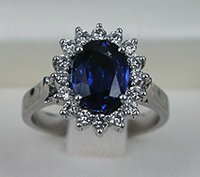 At Thai Native Gems, our priority has always been customer satisfaction. Whether it is for a special occassion or for personal use, we strive to deliver the best to make it a memorable purchase for you. We have therefore created a testimonial section on our website to let you know what our customers say about our products and efforts. Please feel free to browse through their experiences. If you would like to share your story, you can email your testimonials/images directly to us at sales@thainativegems.com and we will love to add it below. Very good service. 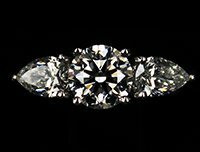 I purchased engagement ring with Gia diamond. I made order even without visiting their office, payed by PayPal. 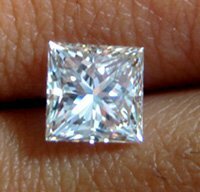 Tarun helped to choose the diamond and kept me informed during the whole manufacturing process of the ring. We are absolutely thrilled with the service from Tarun. From start to finish his help and guidance was first class. It would be hard to find a more trustworthy and honest service in thailand. An exceptional piece!! Miyoung Ryu and I could not be happier with the results. Really enjoyed working with Tarun through the entire process of coming up with the concept for the ring, sourcing the stones, going over the design, and examining the final product. 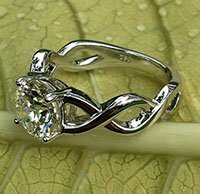 The ring design was quickly agreed with Tarun (he developed a 3D model). Working with Tarun have been very productive at all stages of my order. 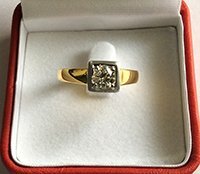 The ring I received. Quality products are fully satisfied. 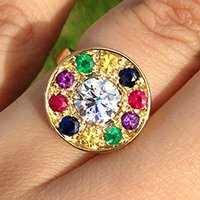 I would recommend Thai Native Gems to anyone that would like to have jewellery made. 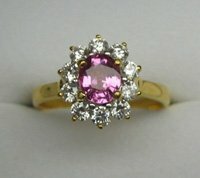 Tarun provides a great service and quality jewellery. 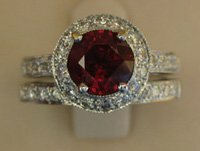 I am so happy with the manufacture and service provided by Thai Native Gems for my wife’s ring and mine. 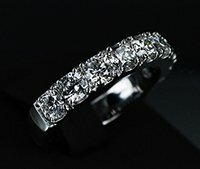 We are really proud of our rings! Thank you!!! 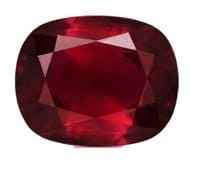 Your persistence in sourcing this incredible ruby to match our exact expectations for colour and budget proves your professionalism and your dedication to clients. Thanks Thai Native Gems – quality work and on time. Tarun of Thai Native Gems has again exceeded all of our expectations. 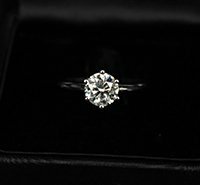 They first made our bespoke engagement ring which was stunning and have now completed our bespoke wedding rings. 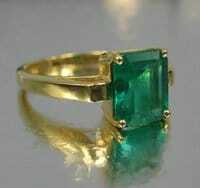 Thank you very much Tarun for making the above ring for my Fiance Sar (she did say Yes by the way). 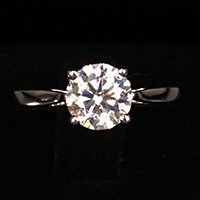 We are both very happy with the quality and craftsmanship of the ring and the friendly efficient service. 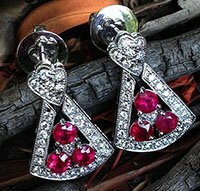 I must say I am amazed at the quality of the work done at Thai native gems, the earrings are exactly similar to the pendant (color of the rubies, heart shaped top…) and I find the diamonds shine even more. We were real happy with the service. It was a very personal process which mixed our own ideas and thoughts along with their expertise and guidance. Tarun puts no pressure on the client, which is nice. 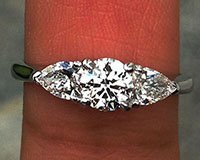 After several unsuccessful discussions with jewelers who wanted to give us what they had, rather than what we wanted, we were fortunate to find Thai Native Gems who immediately fully embraced and understood this sentimental gift that we wanted for each other. 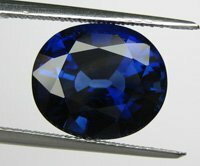 The trust and the quality of listening given by Gupta has made the overall process a marvelous adventure and as a result we got a truly unique and precious jewel for a life journey. 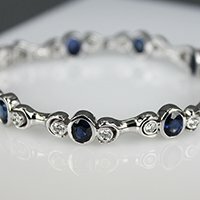 I strongly recommend Thainativegems to anybody who want to create a unique gift for his/her beloved. 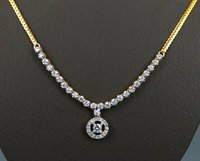 This was made for me whilst I was away working Offshore,from start to finish everything was done via E-mail and Tarun kept me well informed through out the process.,Thai Native Gems sourced the Diamond and gave me many choices of what was available. 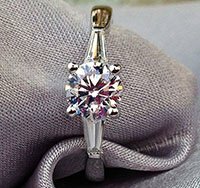 [By email] The ring is fantastic and exceeds all our expectations. 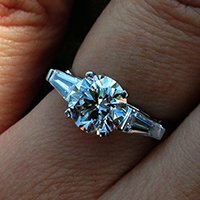 [Wife] is thrilled with the design, setting and of course her diamonds! Thank you so much for all your efforts , professionalism and guidance in the whole process from conception right through to the final selection. 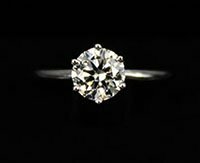 Tarun helped me in finding the best stone for my engagement ring, at the best price ! Now the diamond is on my fiancée’s finger And looks amazing. 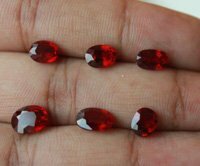 If you want to buy stones or make custom jewelry, do not hesitate: Tarun (and his family business) is your man! 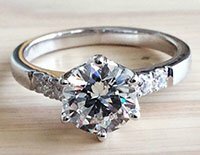 Thank you so much for getting this sourced and made for us – I’m so pleased with the ring and have had many compliments on how sparkly it is! I’ll be back as soon as I’ve saved up and have already recommended your work to friends. 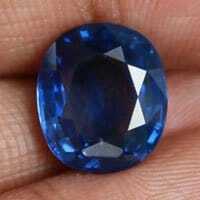 Very impressed with the service of Thai Native Gems. 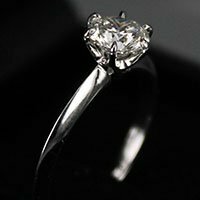 Diamond within my budget and that’s it deal done. The setting was selected and completed within the time frame specified. Very happy customers. What a fabulous company to deal with. 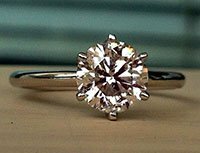 All we did is give our limitations and he provided bargain price options on top quality stones, I got a terrific deal, it was great being able to pick a stone and just have it made, and as you can see, terrific workmanship. 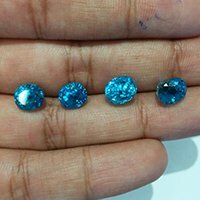 [By email] – The stones came in the mail today and they are spectacular!! 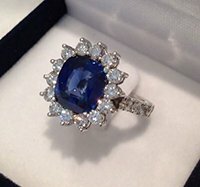 I have a friend who is a jeweler and gemologist, and she is asking $2,200 for them unmounted!!! Mine are more beautiful. Thank you, and I look forward to doing business with you in the future. 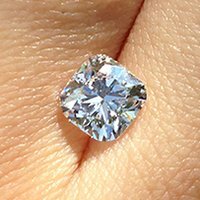 [On Facebook] – I love these blue zircons!! 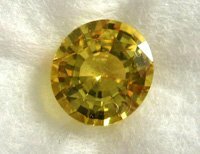 The prettiest and purest color I have seen in Zircon. I recommend them to anyone. Beautiful!! 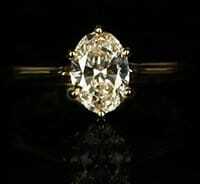 Tarun offered a very good price per carat and much less than the jewellers shops I visited. 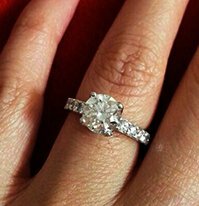 My fiancee loves the ring and I am happy and confident enough to say I would advise close friends to use Tarun for any advice or purchase concerning gems. A very happy client indeed! Tarun, thank you for expertise and professionalism. The ring turned out better than I could have ever imagined. You executed the design exactly as discussed and I could not ask for more. With you I never felt like I was being pushed or rushed into any purchase. 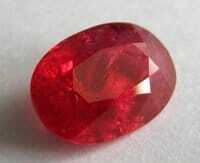 Tarun, the service and expertise you have provided for us makes me want to buy her more gems from you. No one could ask for better service than being shown each particular gem and then picking up the final product with great conversation over tea. 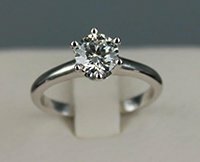 Thank you for the exceptional quality and value for my engagement ring. 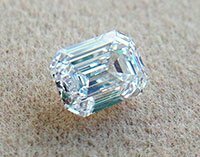 My fiancée was overwhelmed by the brilliant and quality of the diamond. 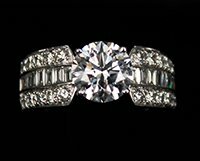 You provided 6 stars service and responded to my queries and help and guided me to make the best decision about my ring purchase. 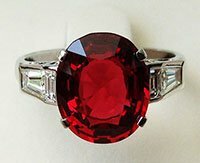 After nearly a year of negotiatons across the continents, the countless e-mails and research you did for me to find my perfect stone, here is the final product – my 15 year anniversary ring! I love it! You have the patience of an angel and you certainly deserve all the credit and praise for your professionalism and honesty in all our dealings! 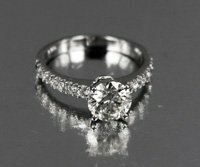 The ring looks superb and it was a totally painless experience from chosing the stone to the design. Taruns knowledge and contacts made it all extremely easy and his upfront pricing means you know exactly what you are spending. 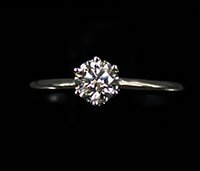 Tarun went to absolutely great length to make sure I got exactly what a I wanted in the selection of the diamond I purchased and help in the style of the ring which was eventually custom made by his jeweller. Myself and my partner could not have been happier with every single part of the process. 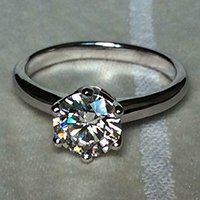 We opted for this 2.5 carat stunner, selected a design online from the choice that he emailed us and had it set into this clean finish. He simply makes it easy for you. He offers you the best at the best price with timely delivery over the best home-made coffee. The diamond is awesome. Beautiful fire, perfect symmetry, sparkles and is pure white. Really fantastic!!! 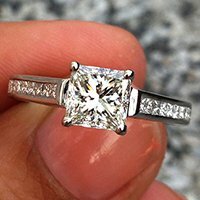 It’s going to be nice to have it in the cushion halo setting, adding even more radiance and brilliance. 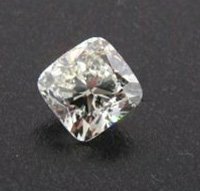 it was such a pleasure to work with Tarun on getting the best quality diamond within the price range that I was working within. 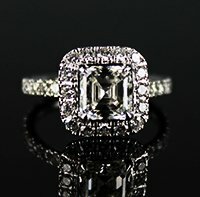 I had the utmost faith in the entire process especially since I was purchasing the diamond across the world in the US. This means that I had to make my decision based on pictures but more importantly on pure trust – and needless to say it was not a misplaced trust. My wife was so thrilled.